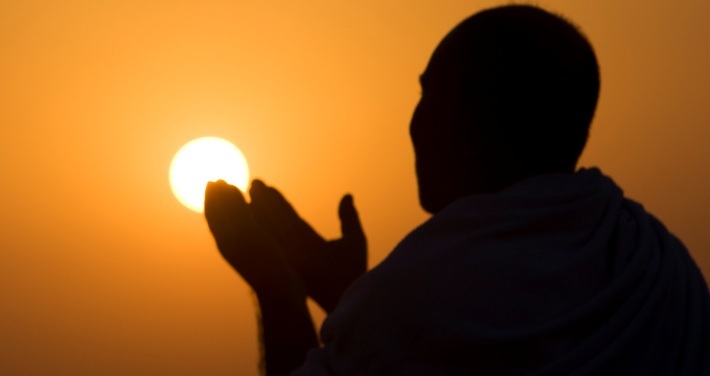 Muhammad Ibn Sirin  is one of the imam of Ahl Sunnah/Sunni, who was very famous for his toughness in clinging to the guidance of Allah’s messenger -peace and prayer of Allah be upon him-, and he is very trustworthy in narrating it. But do you know, O Brother, that he too, was attributed by the scholars of his time as a very cautious man regarding legal and illegal affairs, and very devoted man in worshipping. Subhanallah, how noble his character was. He was very devoted in worshipping and remembering Allah the Holy and Exalted thus when he was trading on the market, that quality of him was seen by others. Isn’t it normal for one to see a man who prayed in a mosque, and that sight caused him to remember Allah, the Holy and Exalted? But to see a man who was busily trading in a hectic market, and his attitudes reminded us of Allah, the Holy and Exalted? Isn’t it show to us that the pious men are always busying themselves with remembrances and prayers to Allah, wherever they are? Look how great the fear and glorification of the pious men to Allah the Holy and Exalted, hence any kind of activities they did, never made them neglected the calling to pray to Allah. “Such is the fact. And whoso venerates the sanctity of all that have been ordained as symbols of Allah surely does so because it is part of the true piety of the hearts.” (QS. Al-Hajj/The Pilgrimage: 32). “people whom neither commerce nor striving after profit diverts them from remembering Allah, from establishing Prayer, and from paying Zakat; people who dread the Day on which all hearts will be overturned and eyes will be petrified;” (QS. An-Nuur/The Light: 37). – Working and trading places are very potential in neglecting people from remembering Allah the Holy and Exalted, thus, mentioning and remembering Allah the Holy and Exalted on such places are of great excellence in the side of Allah the Holy and Exalted. – Taking good examples from the stories of the past time scholars is one of the best way to motivate oneself to increase his devotion to Allah the Holy and Exalted. It is because man’s soul is easier to take example from the real story and (it will) causes him to be more enthusiast in performing righteous deeds and being haste in doing goodness . “(O Muhammad), We narrate these anecdotes of Messengers to you that We may strengthen your heart through them. In these anecdotes come to you the Truth, and an Exhortation, and a Reminder for the believers.” (QS. Hud: 120). Peace and prayer of Allah be upon our Prophet Muhammad, his family, and all of his companions. And the end of our prayer (is that) all prayers be to Allah, Lord of universe. City of Kendari, 1 Rabi’ul akhir 1432 H.
Author: Abdullah Ibn Taslim Al-Buthani, M.A. He is a great Imam from generation of tabe’en (a generation after the generation if the Prophet and his companion, -ed), very trustworthy, and scrupulous in narrating hadith of Allah’s messenger -peace and prayer of Allah be upon him (died in year of 110 H). His biography is in book titled ‘Tahdzibul Kamal’ (25/344), and ‘Siyaru A’laamin Nubala’ (4/606). See: ‘Siyaru A’laamin Nubalaa’ (4/610). Narrated by Ath Thabrani in his work ‘Al-Mu’jamul Kabiir’ (no. 12325), by Dhiya’uddin Al-Maqdisi in ‘Al-Ahaaditsul Mukhtaarah’ (2/212) and others. Al Albani said that it is a good hadith in his work ‘Ash-Shahiihah’ (no. 1733) because it is narrated from various chains that are supporting one another. See: ‘Tafseer Ibn Katsir’ (3/390). Cited by Al Mubarakfuri in his book ‘Tuhfatul Ahwadzi’, (9/273). See an explanation of Sheikh Abdurrahman As Sa’di in his book (a tafseer/Qur’an interpretation) , page 271. Cited with narration by Imam Ibn ‘Abdil Barr in his book ‘Jaami’u Bayaanil ‘Ilmi wa Fadhlihi’ (no. 595).